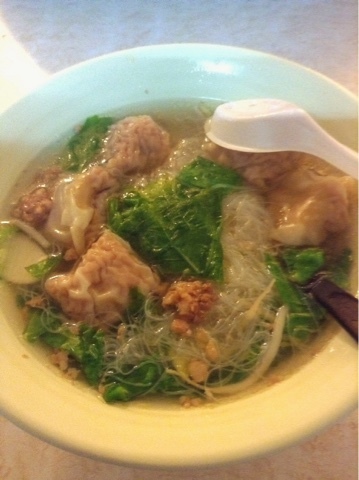 Thin rice noodles, bean sprouts, greens, a bit of ground pork and pork dumplings. The food is not spicy. Flavoring is left up to the diner. There's rice vinegar, soy sauce and fermented chili on every table. 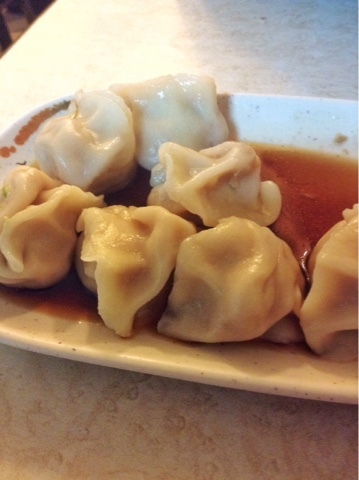 And there's heaps of Chinese dumplings to be had for a pittance. They are almost always good. It is ridiculously easy to eat here. The challenge is parsing out the menus. We accidentally ordered three bowls of soup for two yesterday.